A white sofa catches your eye and pulls you into a room, but it also provides a glaring background for stains. 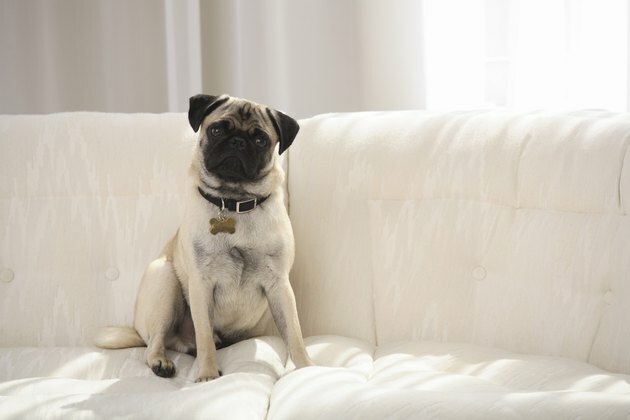 Depending on its type of upholstery, a white sofa requires a dry-cleaning solvent, water-based cleaning with or without detergent or professional cleaning. A sofa's tags indicate the type of cleaning needed for its upholstery with the letter "W" for detergent and water, "S" for dry-cleaning solvent, "WS" for either water-based or dry-cleaning solvent and "X" for only professional cleaning. Stains show well on a white sofa. Blot wet stains with white paper towels. Use gentle pressure, and do not push the stain deeper into the sofa cushion. Keep blotting until the stain stops lifting from the fabric. Sweep dry stains, such as dirt, from the sofa with a hand-held vacuum cleaner. Mix 2 tbsp. of dish soap into a sink of cool water. Wet a portion of a white cloth with the soapy water, and wring out the excess water. Dab the stain with the cloth. Wet another area of the cloth as the stain begins to lift from the sofa. Continue removing as much of the stain as possible in that manner. Mix one part bleach and 10 parts water in a bucket. Wet a white paper towel with the mixture. Lightly dab the remaining stain with the bleach-water solution. The bleach helps to destroy germs and lightens fabric to conceal the remaining stain. Wet a white paper towel with water, and blot it over the affected area to rinse the fabric. Blot the area with a dry paper towel to remove excess moisture. Pour 2 to 3 tbsp. of dry-cleaning solvent on a clean, white cloth. Blot the solvent onto the stain, starting along all of the stain's edge. Gradually work toward the center of the stain. Pour additional dry-cleaning solvent on a clean area of the cloth, and continue blotting the stain until it has lifted entirely from the sofa. 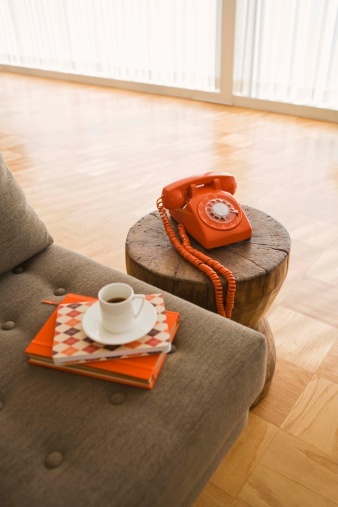 Avoid sitting on the affected area for 24 hours, and re-inspect it to ensure the stain is completely gone.